The women led the fall program in their second varsity season. They completed their season with unprecedented statistics finishing 5-1 in the Hudson Valley Intercollegiate Athletic Conference and 10-4 overall. The women advanced to the HVIAC championship, but were defeated 2-1 by Albany Pharmacy in the championship game in November. Freshman forward Genesis Castrellon led the league in points (72), goals (29), assists (14) and shots (114) and freshman goal keeper Victoria McAlister led the league save percentage (.822) and ranked fourth in the league with 83 saves. McAlister also finished second in the league with 18 goals. Other team honors included three players being named to the 2013 All-HVIAC Women’s Soccer team which was selected by fellow coaches in the conference: Genesis Castrellon (forward), Caitlin Essex (forward), Erika Hilliard (defense) and Victoria McAlister (goal keeper). In addition, Castrellon was named women’s soccer rookie of the week three times (9/17/13, 9/24/13, 10/29/13), as well as player of the week twice (10/15/13, 10/22/13). Sophomore Annalise Bourgeois was also named player of the week for 9/17/13. Academic honors included Erika Hilliard and Caroline Craddock being named to the United States College Athletic Association’s National All-Academic team. This past season men’s soccer struggled, finishing 1-6 in the conference and 3-11 overall. However, freshman midfielder Amir Tolbert was named the men’s soccer rookie of the week for 10/15/13 after scoring two unassisted goals in a 4-0 shutout win over Webb Institute. Other honors include freshman defender Noh Schiers being named to the 2013 All-HVIAC Men’s Soccer team. 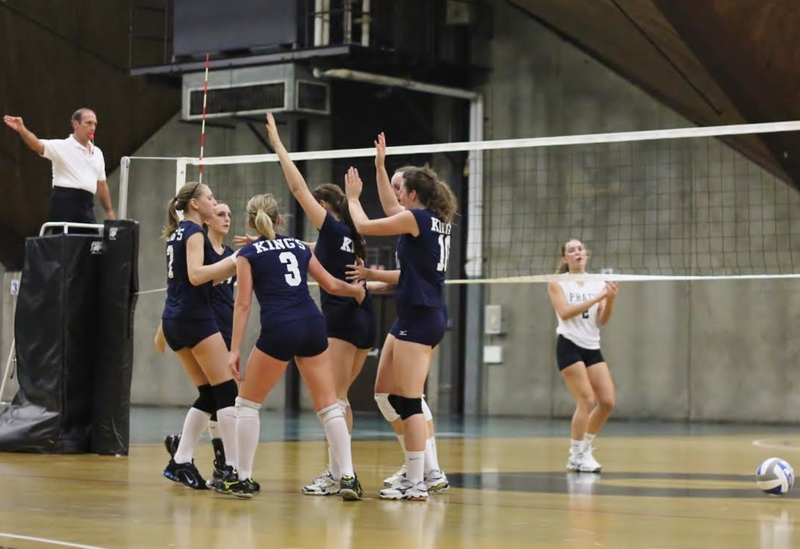 In their second varsity season, the women’s volleyball team exhibited endurance in their continual growth. The team finished 3-4 in the conference and 6-10 overall. Middle blocker Alexandra Rollis ranked fourth in the conference for kills per set with 2.89 while setter Jessie Schnoebelen ranked fifth in assists per set with 4.98. With 3.33 digs per set, junior outside hitter Kelli O’Donnell ranked fifth in the conference while middle blocker Hannah Eckart’s 11 block solos ranked fifth as well. Other honors include Rollis being named to the 2013 All-HVIAC Women’s Volleyball team while O’Donnell earned United States College Athletic Association All-Academic honors. While fall sports have already concluded, winter sports are currently in progress. Both the men and women’s basketball teams have encountered struggles early on in their season, beginning with ensuring that each team has enough players to compete. However, this season’s schedule has a reduced number of games, meaning the season only runs until early February. The men's basketball team placed 8th in HVIAC standings, going 0-3 in the conference and 1-6 overall. The next game is scheduled for January 28, 2014 at Vaughn College. This season, the women's basketball team placed 7th in HVIAC standings with an 0-3 record in the conference and 0-4 overall. Their next game is scheduled for December 8 versus Vaughn College. The mixed bag of results is not a strong indicator of how King’s will perform in the future. The program is still young, but the team members have exhibited potential, talent and determination to develop into a strong, competitive force within the Hudson Valley conference. If this year is a glimpse into the future, this could happen sooner rather than later. For more information about King’s Athletics or to keep track of the teams, visit tkc.edu/athletics or visit the conference website at hviac.net.